Live on, forever ~ Journal of a dreamer. With the conclusion of the state funeral today, this week will mark the end of mourning for Singapore. From tomorrow onwards, life will go on as normal. The events this past week will remain as one of the most unforgettable memories I will keep and remember, close to my heart. After news of Mr Lee Kuan Yew's passing broke on Monday, I remember not being in the mood to do anything, especially on Monday. The man I've never met personally had somehow affected me, and probably many other people as well. The mood in the CBD (where I am working at) was exceptionally sombre, with people just holding up newspapers printed in black, white and grey. As days passed, news of LKY's passing had by now, already sunk in, and I was already resigned to the fact that we have now officially entered a new era, post-LKY. On my way home on Wednesday, I decided to head down to the nearest community tribute site and what shocked me was, there were so many people queuing up just to pen their condolences. 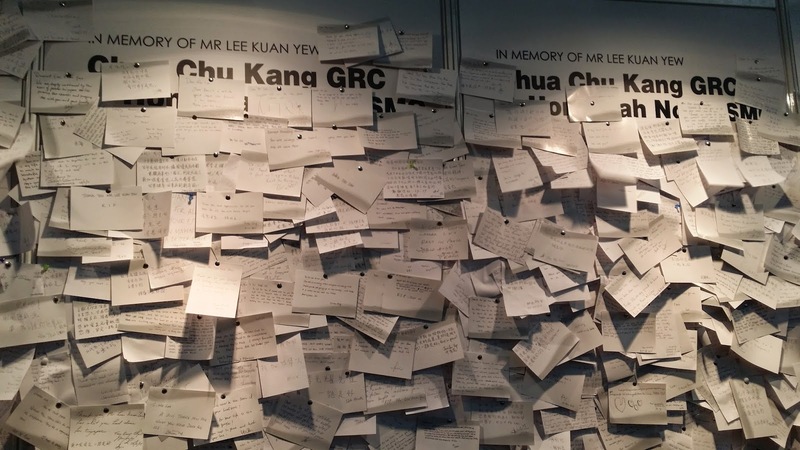 How LKY must have affected us so much... ;'( I decided to head down later at night together with my sister, in hope that the queue would be shorter. The queue was indeed shorter, but not much. The tent was still filled with people. Some crying, but mostly sombre and grim. I went up, paid my respects, and then went over to write my condolence card. At the community tribute site. The company that I am working at now allowed us to go off at 4 pm on any of the mourning days so that we could go over to the Parliament House to pay our respects. 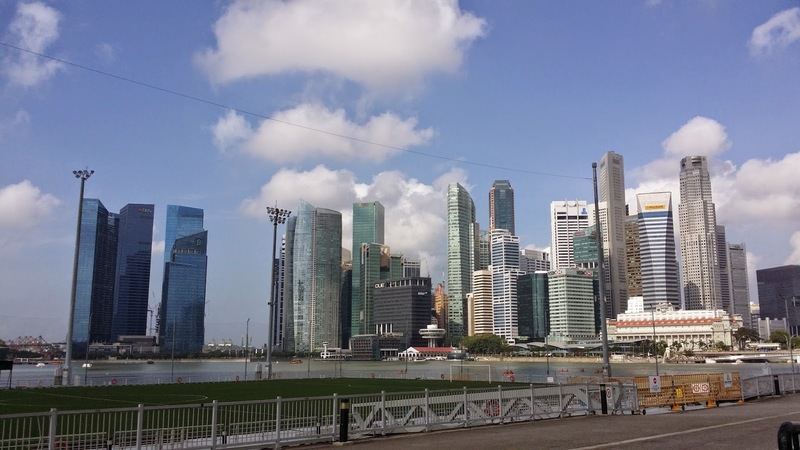 Other companies in Singapore also did likewise. I decided to go down to the Parliament House yesterday (which was also the last day for Lying-in-State) instead, because the turnout on Friday was so huge that the waiting time stretched to 10 hours and the authorities had to prevent people from joining the queue despite it opened 24 hours. The queue only reopened at 6.15 am on Saturday. When I reached City Hall at around 7.30 am, the crowd wasn't as huge, thankfully. Although we waited for about 3 hours before we finally reached the Parliament House, the fact that we were also constantly moving made me feel that the wait wasn't all that long. The weather was hot and humid, but the umbrellas provided helped. The drinks provided helped. And the food provided also helped. Over the past few days, I have read many touching encounters of Singaporeans helping each other tide over the long wait. The 3-hour wait didn't feel long to me. The volunteers, especially the army boys, were so bright and chirpy, happily greeting all of us mourners. That really made my day. They must have been very tired, but they definitely didn't show it on their faces. The best thing was I didn't hear anybody complaining about the long wait at all. We Singaporeans are known for our love to complain and under normal circumstances, I definitely would have grumbled. The 3-hour wait for just a few-second glimpse of the coffin at Parliament House was worth it. All for the man who led Singapore from third-world to first. That queue, would probably be the only queue I'd ever join. Today, on the day of the state funeral, the skies finally opened up. And when it did, it joined all of us in mourning the loss of one of the greatest statesmen. My Grandma told me when it rains on someone's funeral, it means that the person is a really good man. The day before he passed, there was a terrible thunderstorm. Afterwards, it was followed with days of clear weather. It was as if it wanted to allow us to pay our respects to this great guy. And on the day LKY left the Parliament House for the very last time, it poured again. I think I will never ever forget this scene. On this day, Singaporeans stood under the rain, for the last farewell to our founding father. It was really poignant, and a fitting farewell. 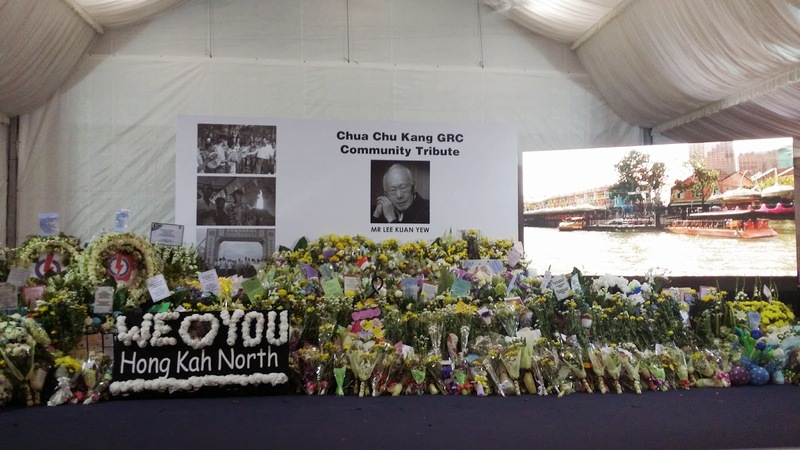 50 years ago, Mr Lee Kuan Yew brought a nation together. 50 years later, he has managed to unite us again, in death. You will live on, forever. In our hearts. And the future generations down. Rest well. And goodnight, Sir.